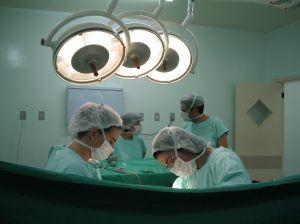 Why Do Female Doctors Earn Less? Lying in bed reading the newspapers is my indulgent Sunday morning activity although often the stories make me splutter into my tea. One such was this report on female doctors hitting a glass ceiling in the UK –this link will take you to the story. Splutter over, I mused on what makes it so, particularly the comment that ‘women do not put themselves forward’. There are lots of obvious reasons like child care etc but actually, although most people now would not dispute that women are equally as capable as men, the world of working practices has not caught up. Work and working practices have been designed by men and suit men. Historically it’s how it happened. Women and ethnic minorities were not around when the basic principles were established. But if we were to design many of our old established professions to suit BOTH genders (not just make them female friendly which sounds somewhat patronising, but really think about a system that is open to everyone in our society), I believe the equality issue would fade. Modern companies that have taken this more inclusive route have found that both women AND men benefit. Do you think your profession/job/career would be significantly different if both genders had devised the working remit? Please do share your thoughts with us. You are right Jane, the working systems only benefit males, usually white males at that. Vast chunks of society are excluded from equal pay. It’s just just the pay, but the pension systems. Society needs a reboot, perhaps that’s too strong but every time we make a decision that allows us to make one section of society worse off, we’re all worse off for it it. I am of an age when women still had to get their husbands to sign off their tax forms, agree to them getting a credit card etc. It made my blood boil. I didn’t change my name on my marriage in 1977 (dates from when women became husband’s property so they naturally took his name – not a law but convention only). It drove my local tax office demented! But I got a degree of satisfaction from challenging the status quo! Thanks for your comment, Sarah.